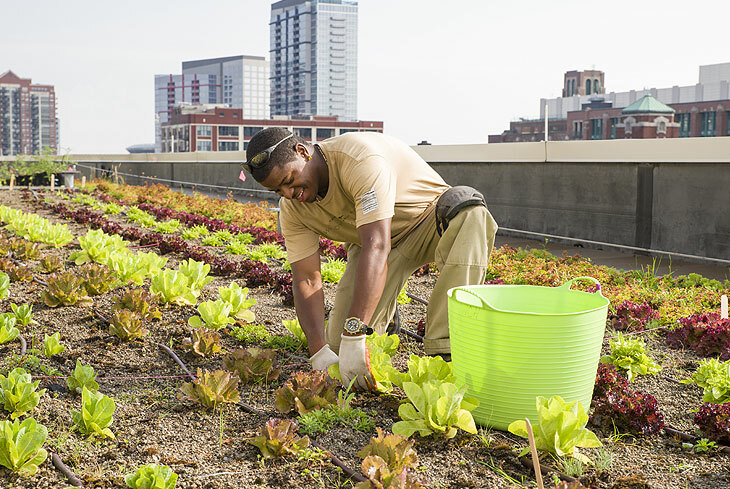 Stacey Kimmons, Windy city Harvest graduate, works on the rooftop garden at McCormick Place. 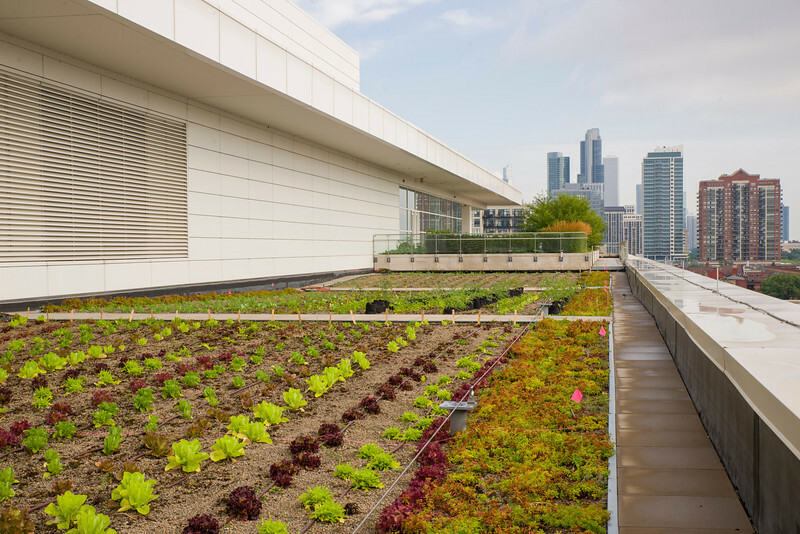 The Windy City Harvest and SAVOR partnership replaced roof garden at McCormick Place in 2013 with vegetables. 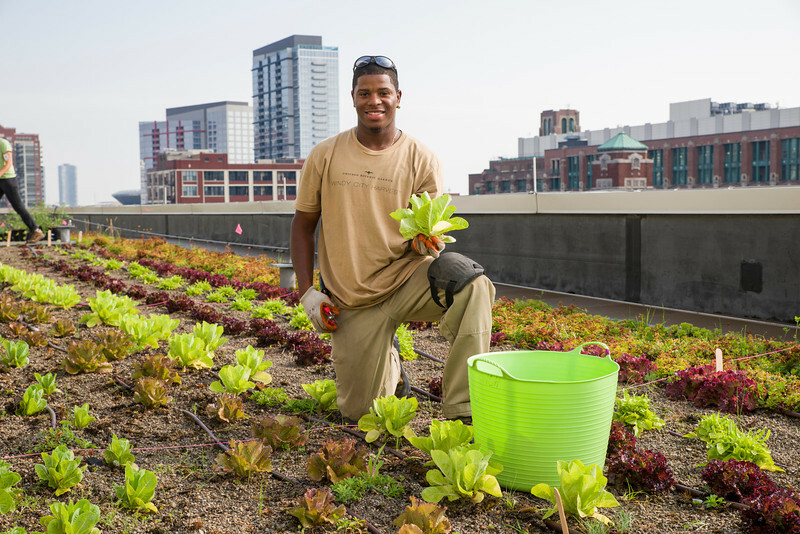 Farm coordinator Darius Jones estimates the 2014 season will yield 18,000 pounds of produce. 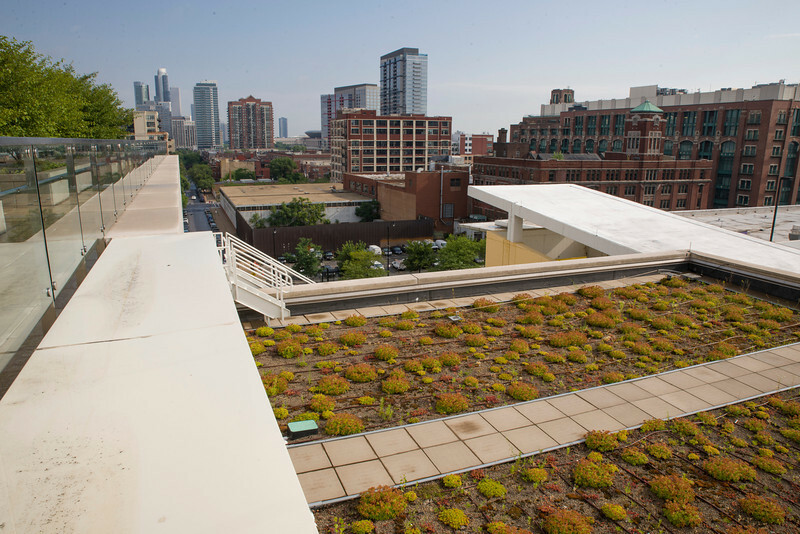 Read about this story and other successes in Roof to Table (PDF) from Landscape Architecture Magazine’s August issue.